Happy Wednesday! I'm back again with another wedding style post. I already posted about what to wear to an outdoor wedding and a church wedding. Now I'm looking at another typical wedding venue - a hotel ballroom. This particular invite is a little more casual than the church wedding I posted, but generally these looks are fairly interchangeable depending on the individual invitation. 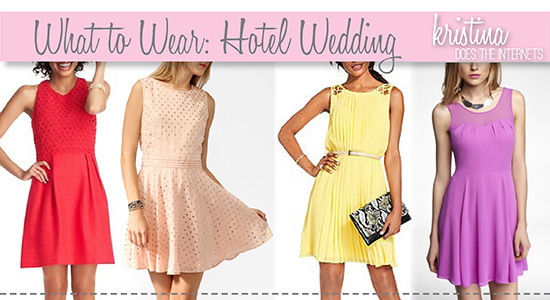 The only difference is, you have a little more freedom in styling when attending a hotel ballroom wedding. I found this beautiful invitation on Wedding Paper Divas. When you read the invitation, the language is really formal. However, the design, fonts, and colors are a little more laid back than the church wedding invite. This means your dress can be a bit more relaxed as well. Also since the wedding is in the morning, think a little more casual and fun. 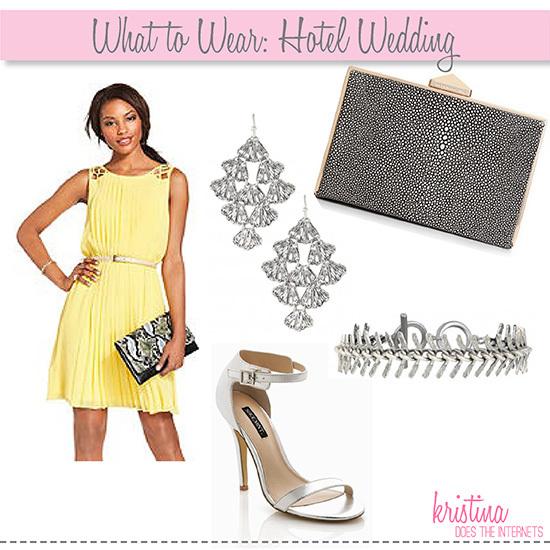 Love the pretty yellow dress–and the pleats on it! Love the look! Check out my Wedding Season Wednesday post over on my blog! I need a pair of sandals like those! I just posted about a giveaway I will be running worth over $140! I think you'll love it! You should participate;)! You could be the winner :D:D! I love the wedding series you've been doing, so helpful, and great for this time of year. Love your picks! 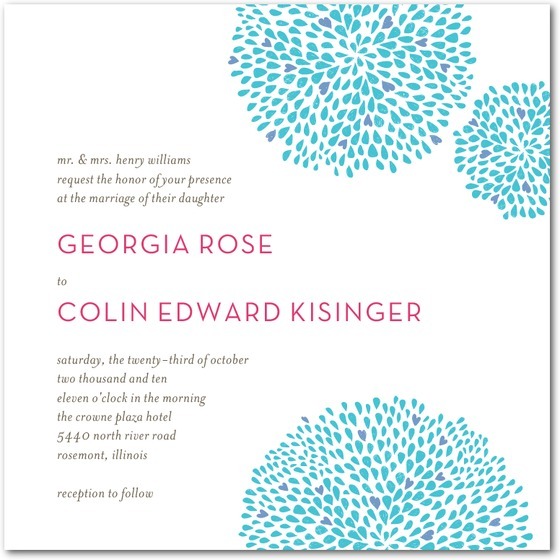 Wedding Paper Divas is great, have you also checked out Minted.com?